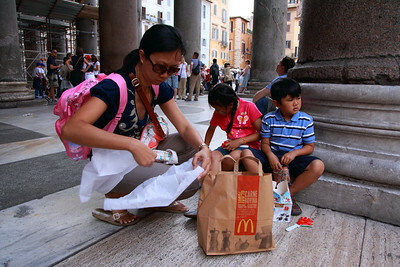 Chad Soriano PhotoBlog: When In Rome, Have A McItaly Burger ! 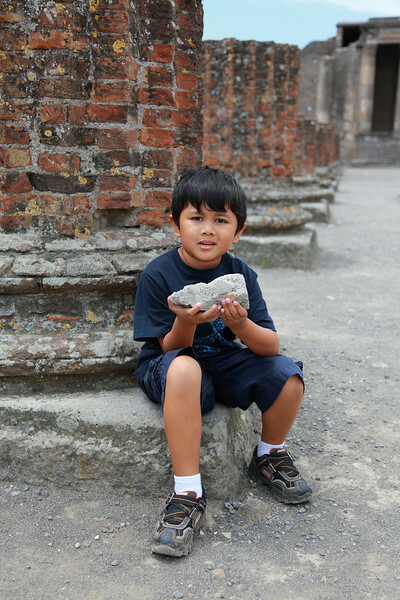 My family traveled over five thousand miles to visit the epicenter of art, culture, fashion and cuisine. Destinations like the Colosseum, the Vatican, the Tower of Pisa, the Pantheon and McDonalds filled our Italian travel itinerary. 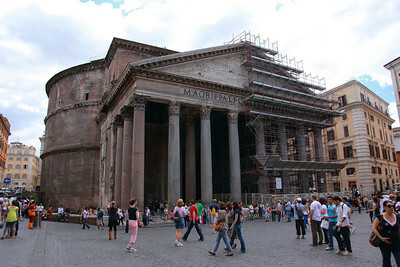 The steps of the Pantheon withstood the fall of the Roman Empire and centuries of blight, but the McDonald's Happy Meal invaded with a McItaly hamburger, fries and an Italian themed toy. Divine Intervention stopped our Western culinary influence and lured my family to the center of Catholicism. A quick taxi ride to the Vatican City, we waited patiently in the Disney World-like line for over thirty minutes to enter St. Peter's Basilica. It was worth the wait. I could not stop photographing. Every corner of the Cathedral is draped with ornate decoration and breathtaking sculptures. 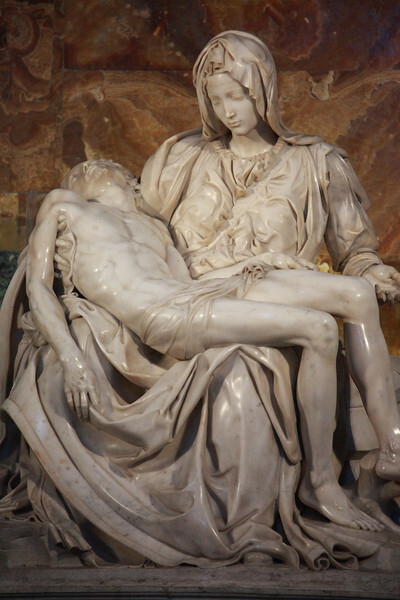 Every devout Catholic in the entire world comes to St. Peter's Cathedral to pay homage and this includes my wife. She waited in another line inside the church with the kids to attend holy mass. 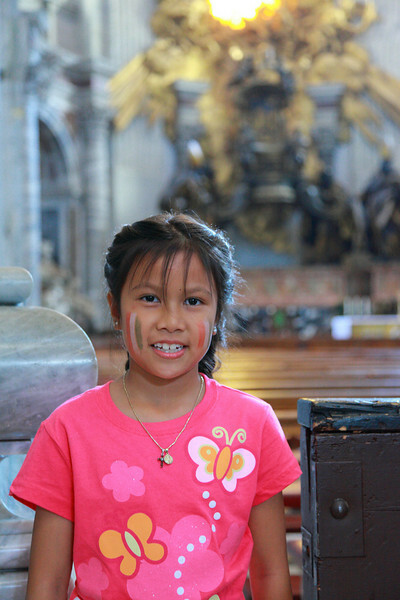 Excitement filled my daughter because she will receive the Sacrament of Holy Communion in the holiest place on earth. As an official Holy Communicant, my daughter's memories of her First Holy Communion was still fresh in her mind. My name is Maximus Aurelius. I wanted to say that when I entered this colossus Colosseum. Other than the hordes of tourists and predatory souvenir merchants and guides, the stone amphitheater towered over the skyline of Rome. Just like Walmart invading suburbs across America and now China, Mount Vesuvius buried Pompeii and its people in a two day long catastrophic eruption. Only a short trip from Rome, we journeyed in our Ford Fiesta to even more ruins and misshapen rocks. Walking the entire archaeological site on cobblestone roads did not fare well with the family especially in the direct sunlight of a summer day. 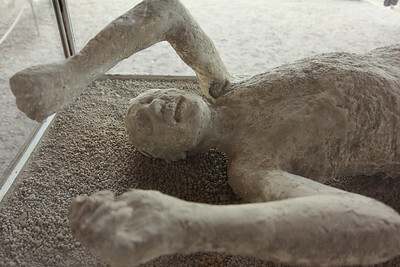 The poor souls of Pompeii fared worse with toxic air and hot volcanic lava. I guess this guy has not met my brother in-law yet! 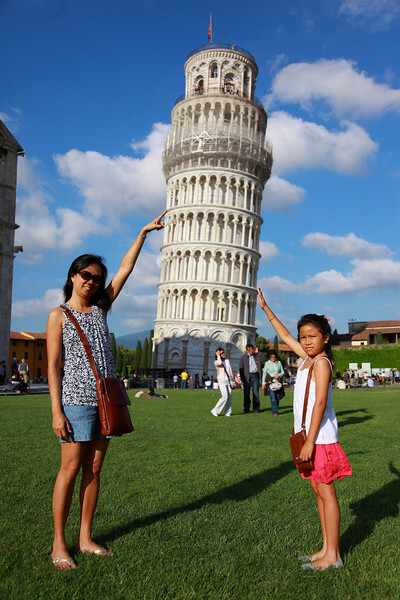 I promised myself I would not "pose" in front of the Leaning Tower of Pisa for any amount of money. Okay, I lied. Maybe for a Las Vegas style Prime Rib Buffet I would consider the tacky proposition. Well, my family insisted and captured the cheesy moment. I highly suggest when traveling to Italy bring plenty of memory cards and your appetite for a McDonald's McItaly Burger. 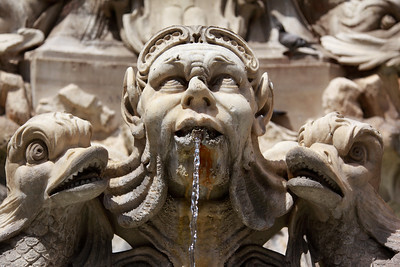 You can view more photos and videos in my Rome, Italy Canon 5D Mark II Gallery. I hauled two HD DSLRS on my shoulders to compare the cameras for photo and video quality. The Canon EOS 5D Mark II was paired with Canon EF 24-105 f/4 L, EF 17-40 f/4 L and EF 70-200 f/4 IS L glass. The Canon EOS Rebel T2i was exclusively mated to the Canon EF-S 17-55 f/2.8 IS lens. 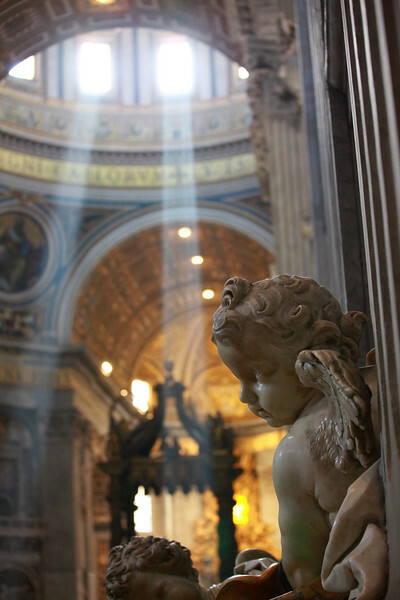 You can also view photos and videos in my Rome, Italy Canon Rebel T2i/550D Gallery. 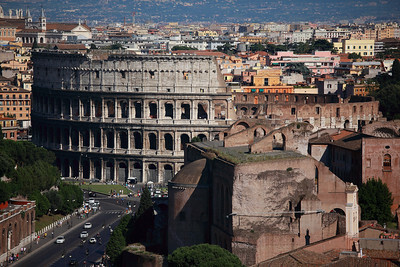 This Rebel T2i and 5D Mark II video above is my fifth and final sights and sounds of Italy post. You can read my previous Italian PhotoBlog posts by entering "Italy" in the search bar on the top left of the website. You can view all photos and videos in my Italy 2010 Gallery. This is a great memory. My wife and I had been on a 3 week Euro Trip and were craving some McDonald's. We ate at the same one in fron of the Parthenon! You should of seen the McDonald's management freak out when I whipped out the camera and started snapping away. In a thick italian accent they shouted "No pictures, No pictures." 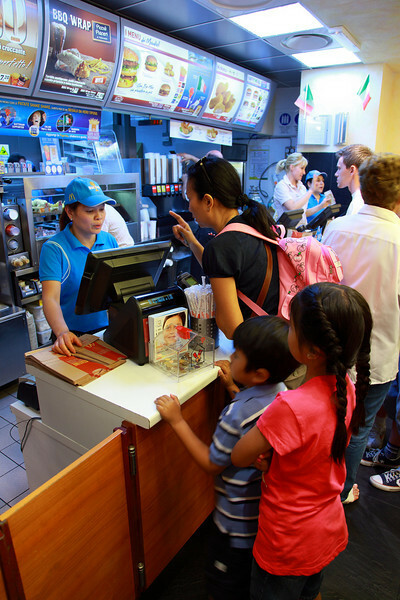 I calmly told them I was photographing my family eating at their first Italian McDonald's. They were afraid I was photographing their high tech food prep machines.